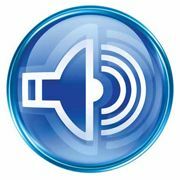 Many times, audio features in education software seem forced—just bells and whistles that make noise but perform no actual function. Cambridge Dictionaries Online has figured out how to do it right. The company has added more than 40,000 pronunciations to its online definitions so that students can just click and listen instead of having to decipher those arcane phonetic codes. Kids should have fun with the British versus American versions, too. Cheerio!